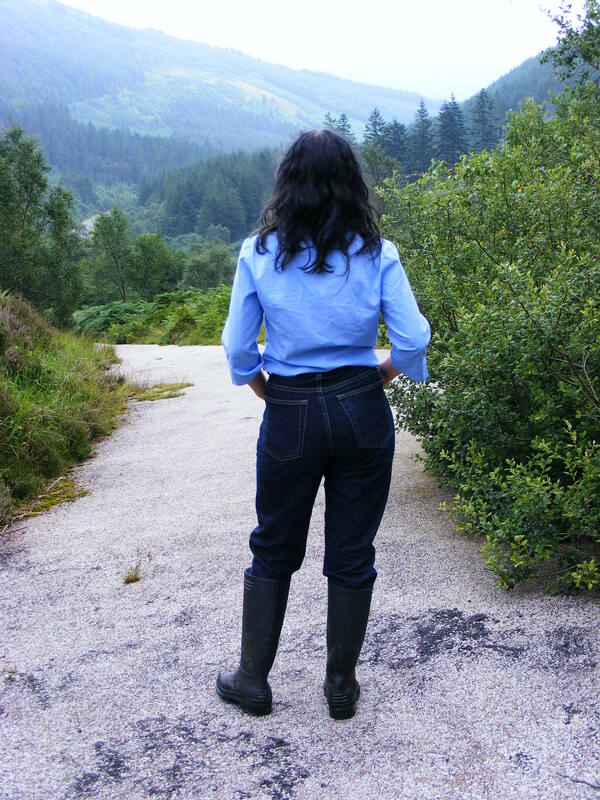 One fine morning, during the annual Saturation Hall holiday trip to Lady Jasine's hunting lodge, deep in the mountains of Western Argyll in Scotland, while freed from her duties for the day, Felicity the Serving Wench goes out exploring her mistress' Highland estate. 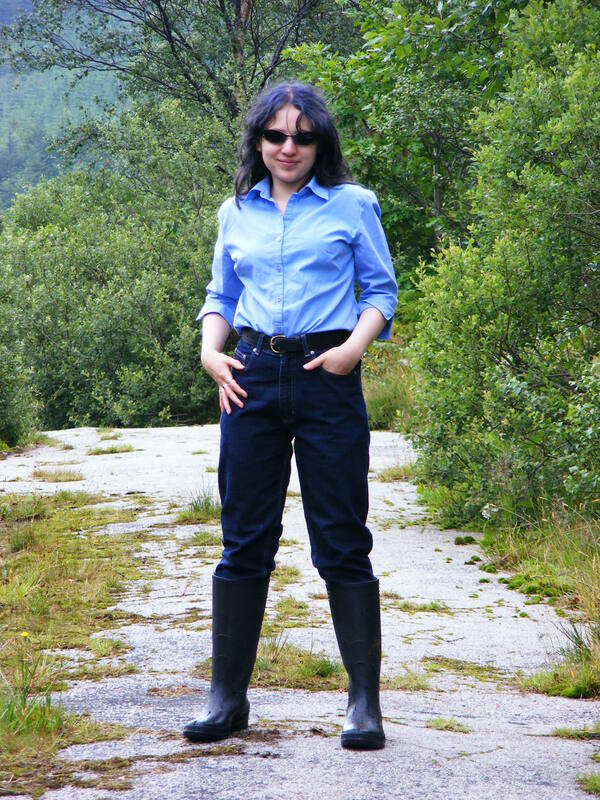 She's practically dressed in plain but eminently functional jeans, shirt, and boots, and finds herself wandering along the remains of one of the military roads first built by General Wade in the eighteenth century, following the defeat of the second Jacobite Rebellion. The scenery is magnificent, the weather warm and mild, and Felicity is happily wandering along, admiring the wild Highland landscape, when all of a sudden she finds a strange sight, a bright pink bucket, filled with fresh yellow custard, standing neatly in the middle of the old highway. Nearby, she spots a freshly laid out waterproof dust-sheet, all ready for someone to play with the goo without leaving a mess behind. "Whoever could have left that there! ", she wonders, as there's no sign of anyone nearby, and she's well away from any modern road or track. She ponders the scene for a moment, and then quickly decides that there's no point is wasting what's cleary been set up just for her. So she grabs the bucket, and in no time at all she's drenching her outfit in fresh yellow custard. First she hefts the bucket and pours thick streaks of custard down the front of her jeans, one leg at a time. Then she sits down in the small pool of spillage from the first pours, hefts the bucket again, and completely covers her trunk and both legs in a tide of wet yellow mess. Next she raises the bucket again, and thoroughly coats the front of her shirt, before lying down, spreading custard over all the remaining clean areas she can reach, and then rolling over and over in the pool that's collected beneath her. Finally, she sits cross-legged in the pool, then stands up, poses for the camera, and walks off back up the road, heading back to the hunting lodge and a shower. It's only a few miles back, and the weather is pleasant for a custard-coated stroll through the romantic landscape.